This wood carving workshop, located in Comploj’s house, is a hallmark of Val Gardena’s craftsmanship’s high-quality and tradition. The wide offer encompasses religious and profane works of art. The exquisite Christmas cribs, representations of saints and profane wood figurines are carved from the finest wood around and painted by hand. This particular, much beloved craft has been passed down the Comploj Family generation after generation. 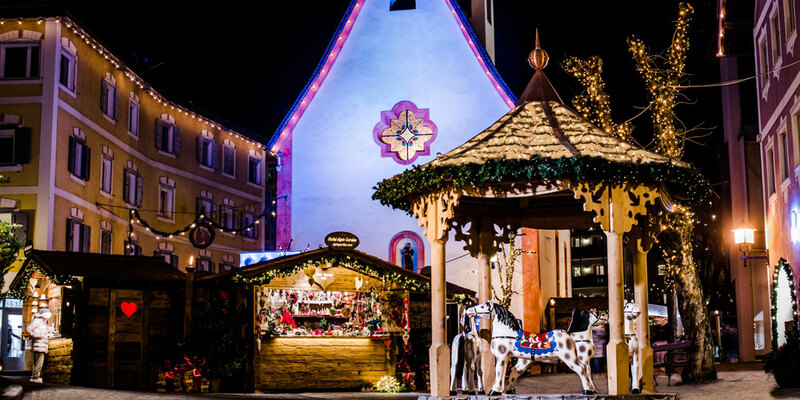 The Bernardi Hermann company is a long-established wood carving company from Val Gardena. The company was founded in 1961 by Hermann Bernardi, Master Wood Carver. In 1985, his sons joined the wood carver at the helm of the company, thus making it a family-run enterprise. The product range encompasses a number of wood carvings (we simply have to mention the wide range of angels and saints on display) as well as nativity scene accessories and Christmas decorations in wood. Dolfi opened in 1892 as a modest wood carving shop. Today it is the go-to company when what you need is tradition and innovation all carved in one. You can find a wide range of typical wood carved figures: angels, crosses to hang in your home, Virgin Mary figures and saints are just but a few standing out from the selection. Come the advent period, there’s no better way to make your living room prettier than using crowns, lanterns and Christmas baubles. Puppets, pens and glasses are not only thought for Christmas, but used throughout the rest of the year. Of course, all fashioned in wood. 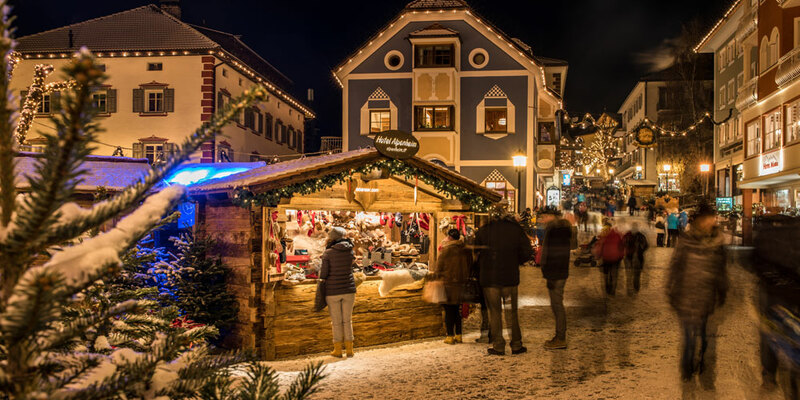 Families in Val Gardena were shrewd businesspeople already centuries ago, and understood they could fill a gap in the market. That is when they started catering for wooden toys. The original Val Gardena puppet was first produced sometime around the beginning of the 18th century, and the tradition went lost around 1930. Judith Sotriffer deftly and lovingly brings the old tradition of wooden toys back to life with a flick of her carving wrist. In a time where many toys are made of plastic, wood has the power of bringing back the sparkle to the eyes of both children and adults. The Mahlknecht Family knows exactly how to wow its clients with its gift ideas. On top of that, they have been leading one of the most important local wood carving workshops in decades (PEMA). Get yourself a treat with Christmas decorations and selected gift ideas. The perfect place for buying a gift for your loved ones or treating yourself to something special. “All around the dumpling” is our motto this year. On our stand you will find dumplings in all variations, original South Tyrolean dumpling recipes, herbs and dumpling mixtures and all that belongs to it. There are also specialities and delicacies of local Speck, a rich selection of chees and sausages. These are just some of the delicacies you will find in our selection. Altromercato / Weltladen / Butäiga dl Mond has been working every day for over 25 years to promote and realize solidarity-based business practices aimed at sustainable development in the South as well as in the North of the World. Our offer is colourful and varied from sweet delicacies from all over the world to handmade jewellery and much more. We look forward to your visit giving a contribution to a better world. During the Christmas time a good cup of tea cannot be missed. Peter's Tea House offers a rich selection of fruit teas and herbal teas from all over the world, accompanied by small sweets and accessories for tea. On our stand, visitors have the opportunity to get to know the natural elegance of the tea. Honey is the natural alternative to industrially produced sweeteners. The honey collected by our bees not only tastes good, but is also considered a remedy for various ailments due to its valuable ingredients. Whether blossom or forest honey, creamed or liquid honey, pollen or other special honey creations: You can choose from our high quality range of different sorts of honey and honey specialities, which you hardly find anywhere else. You will find a wide range of cuddly accessories, such as knitted caps and lots more, which are made exclusively from the high-quality alpaca fibres of our alpacas. Our breeding is located in the heart of the Dolomites in South Tyrol. For almost 13 years we are specialized in the Alpaca huacaya breeding of all colors, whereby we prefer the white ones. High-quality products, up-to-date designs, modern trends and excellent customer support are attributes guaranteed by La Flaura making them distinctive and unique. The exquisite offer includes a wide selection of exclusive alpine plaids, children’s blankets, peluches and pillows in various facets: with herbs as content to relax, filled with cherry cores as an alternative to the hot water bottle or with essences for scented laundry. All products only in best quality. At Rabanser Shoes you will find a big selection of "Made in the Dolomites" slippers for the whole family. The large selection ranges from classic merino wool slippers in various colors to the handmade felt slippers from the family Zacher from San Candido in South Tyrol. All products are distinguished by their high-quality workmanship and their excellent wearing comfort. Family Rabanser and their expert staff will be happy to advise you on choosing your cozy and warm slippers. The family-run business is in its 3rd generation. Next to artsy, wooden Christmas Angels you also have handmade home textiles and home accessories. The table cloths, carpets, covers, cushions, candles, shoes, lanterns, window decor, felt articles and ceramic have one thing in common: the excellent quality which the Senoner Family has always valued. Enter a world full of warmth and magic: find cushions in all sizes with the most different stuffing. Christmas decorations come in a variety of patterns, laces and trims, Of course, decorative and scented pouches are also to be found. High-quality covers, carpets and bed covers complement the offer. You’ll feel right at home if you only want the best. The traditional company has been around for three generations and offers silverware with typical mountain designs and patterns: edelweiss and snowflake creations are well represented. Necklaces made with semi-precious jewels are also great gift ideas, as well as leather wristbands and shiny zircon gemstones. Discover the classical, modern and at the same time exclusive jewellery. The Senoner Family has been running Café Corso since 1954 in the centre of Ortisei. Sit down and enjoy a hot chocolate, with over 50 flavours, or a warm tea (choose from more than 60 kinds from all over the world). 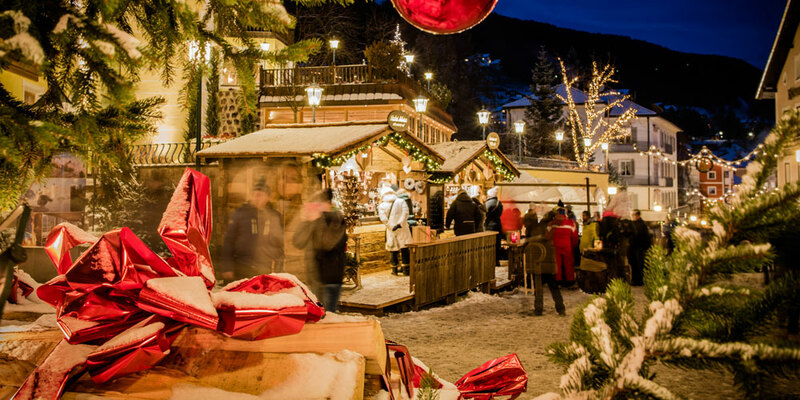 Enjoy a glass of wine, a typical grappa, a mulled wine or a hot mug pf punch. Also choose from aperitifs and different juices. If you fancy a snack choose sandwiches or the numerous, traditional biscuits: there’s something for everyone. When your stomach starts grumbling, you feel the sudden need for something sweet, or you may just want to warm up with mulled wine. In either case, you shouldn’t wait too long. Exquisite cakes and biscuits abound here, together with a selection of warm beverages. A hearty goulash broth or sandwiches, should you fancy a light snack, are also on the menu. Be tempted by the scrumptious treats – before or after the Christmas period. ‚Apple galore‘ is this stall’s motto. The South Tyrolean Apple is without a shadow of doubt the hallmark of the land’s farming culture, but it also holds a place of regard in the province’s kitchen. Baked apple? They have it. Traditional Apfelkieckl? Check. Take a bite: you won’t regret it. If the cold is getting to your bones, sip an invigorating, steaming mug of apple punch or an Apfelglühmix for a jolly good time. These are all specialties and South Tyrolean products of the best quality, to boot! Some scents are part of the special pre-Christmas flair. The smell of freshly roasted almonds, which the Prinoth family offers together with many other delicacies, is quite typical. 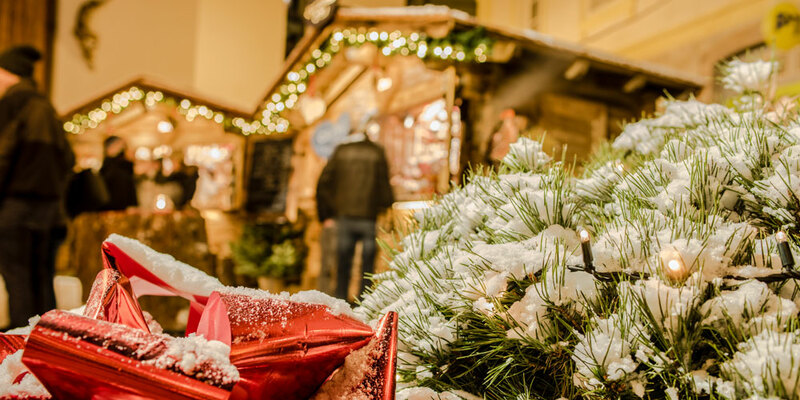 At our stand you can find warm winter drinks such as mulled wine, hot "Spritz", Bombardino, Bombardino Alpino, hot chocolate and alcohol-free hot apple. Crêpes with Nutella and piadina can’t be missed. Come and visit as at Stetteneck Square!